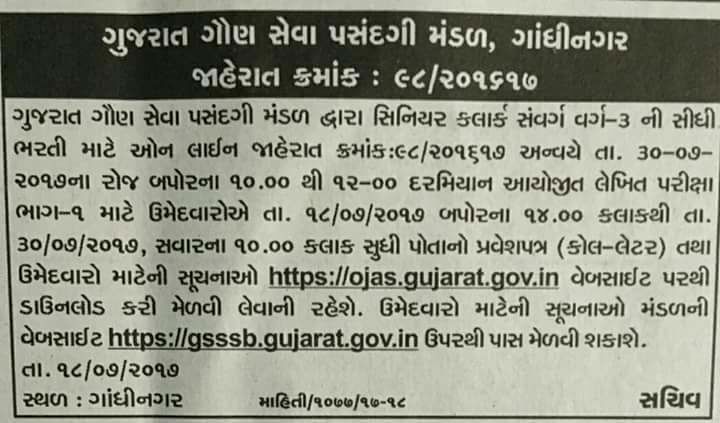 GSSSB Senior Clerk Call Letter Download Start Now. GSSSB Held Senior Clerk Exam On 30 July 2017. Gkgrips Team Give The Best Support For Your Senior Clerk Exam As Well as Provide a Latest Materials, Model Papers, Current Affairs, Old Papers And More.